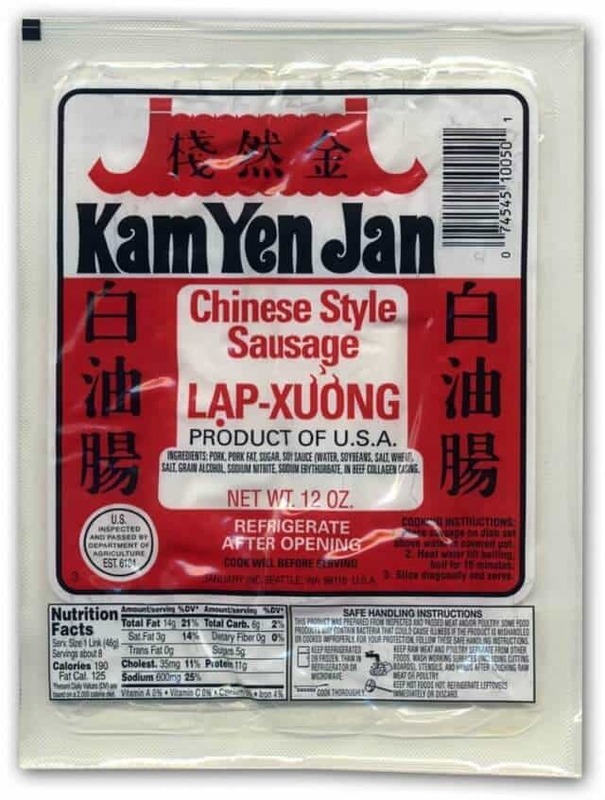 The Chinese equivalent to bacon is Chinese Sausage, or “lap cheong” in Cantonese. 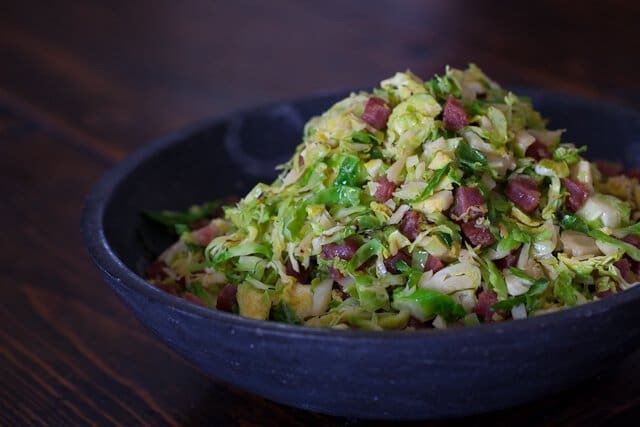 If there’s one ingredient that will make brussels sprouts your most favorite vegetable, it’s Chinese Sausage (yes, even more so than bacon). Chinese Sausage is the secret ingredient to my fried rice – and hey, it’s sold on Amazon.com (actually, that’s a pretty good price $12.85 for a package of 3). I should probably compare Chinese Sausage to pancetta, as it’s more like pancetta than bacon. But it’s much sweeter and not quite as salty. 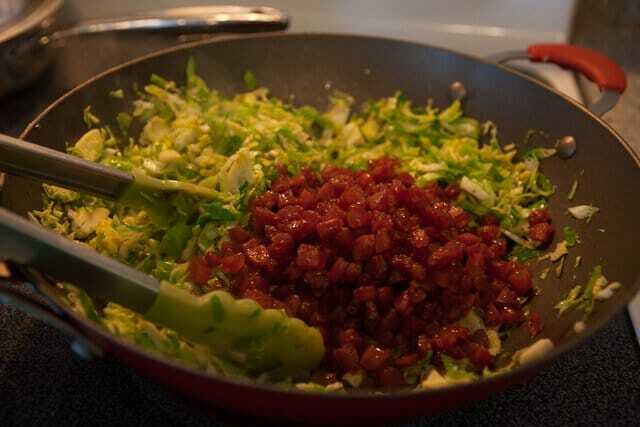 One of my favorite ways to prepare brussels sprouts is to treat it like cabbage and shred it with a chef’s knife. 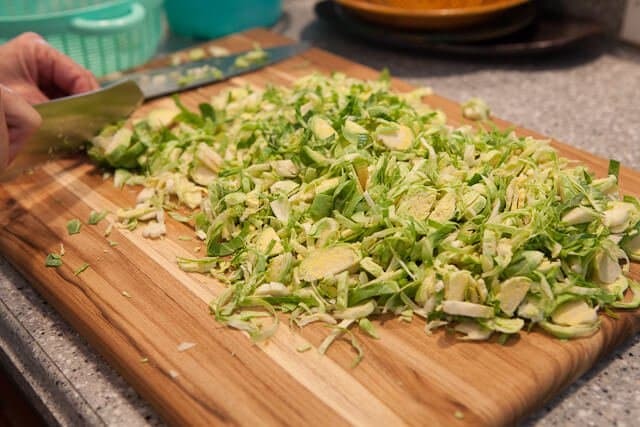 It is a little time consuming, cutting every itty bitty mini “cabbage ball” by hand….feel free to use a food processor with a shredding disc OR just cut each brussels sprouts in half and leave ’em half orbs. 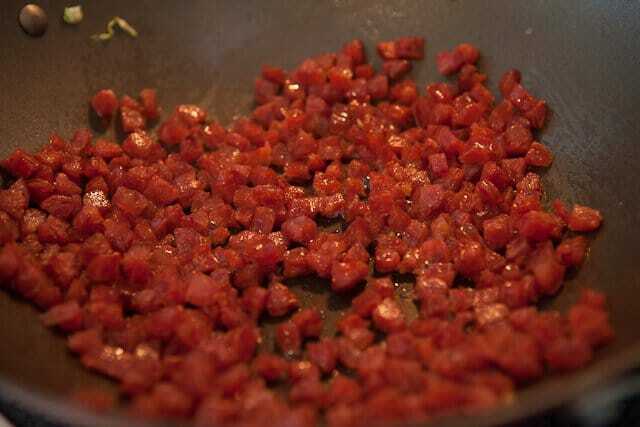 Dice the Chinese Sausage and throw ’em in a cold wok or saute pan. Yes. cold pan. Turn on the heat to medium-low and let the sausage heat up gradually. As it heats up, you’ll begin to see ’em sweat. That’s a good thing – the fat inside each sausage is melting. 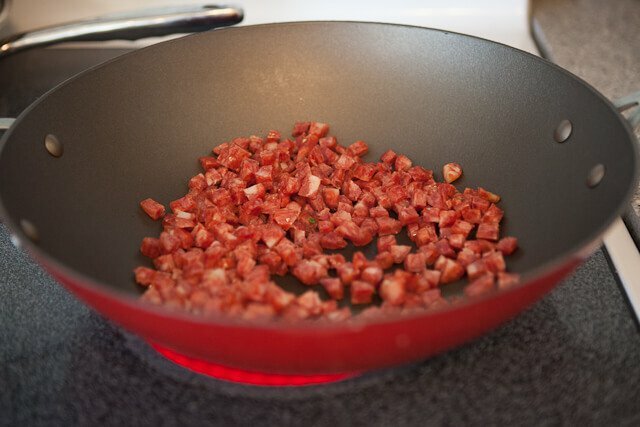 If you use a wok, it makes it easier, push the Chinese sausage up the sides of the wok and let the fat drip down. Make sure you control your heat – don’t let the sausage burn. Now at this point, you can use a paper towel and mop up all this extra fat and discard (!!!) or be like me and just use that fat to fry the brussels sprouts. Just do an extra lap in the pool. Remove all of the cooked sausage to a plate, being careful to not scoop up any of that fat. We’ll add the cooked sausage back in the pan later. Crank up the heat and add in the brussels sprouts. Add in 1 tablespoon of water to get the b.s. cooking. If you’ve taken the easy way out and only cut the b.s. in half, you’ll add in a bit more water, cover the pan and let the b.s. steam. But since we’ve got shreds, they cook rather quickly – no need to cover the pan. Fish sauce is my other secret weapon in this dish – feel free to sub with soy sauce. 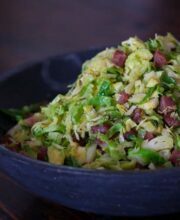 Once the brussels sprouts have cooked through – just taste one of them, they should still be just slightly crunchy but with no raw taste – add the Chinese Sausage right back in. Done. 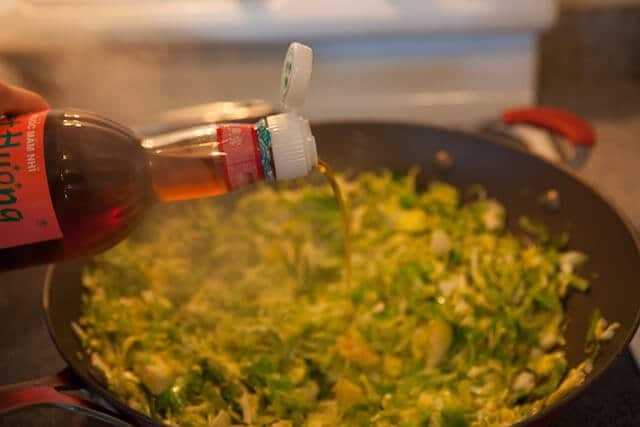 You’ll never have brussels sprouts quite like this….feel free to do this with regular cabbage as well. 1. 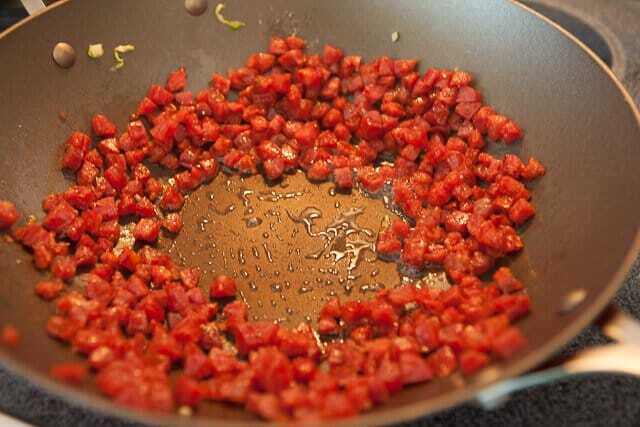 Add the Chinese Sausage to your wok or large saute pan. Turn heat to medium low and let the sausage cook gently for 5 minutes. Watch the heat - don't let the Chinese Sausage burn. Move the Chinese Sausage up the sides of the wok to let the fat drip down. 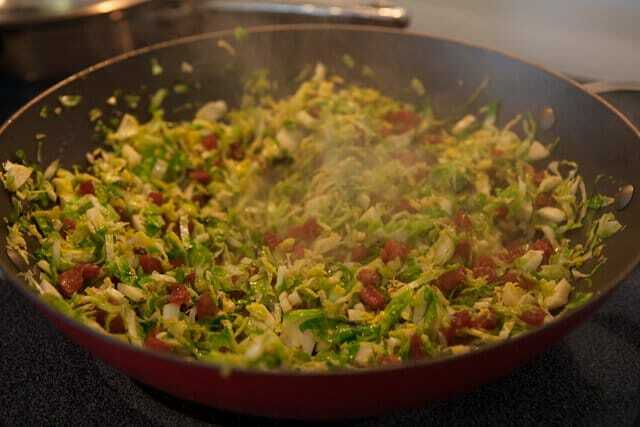 Remove the Chinese Sausage to a plate, use a slotted spoon to keep the fat in the pan. 2. Turn the heat to medium-high and add in the brussels sprouts. 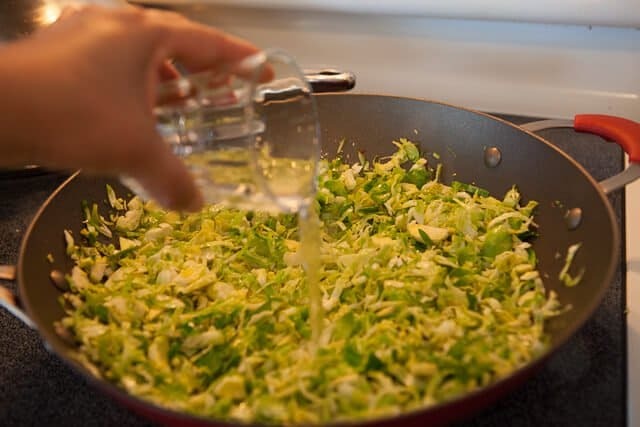 Toss to coat the brussels sprouts with the fat. Stir fry for 2 minutes. Add in 1 tablespoon of water and toss. Let the brussels sprouts cook for 2 minutes. 3. Add in the fish sauce. Toss in the cooked Chinese Sausage. Taste and add season with additional fish sauce if needed. 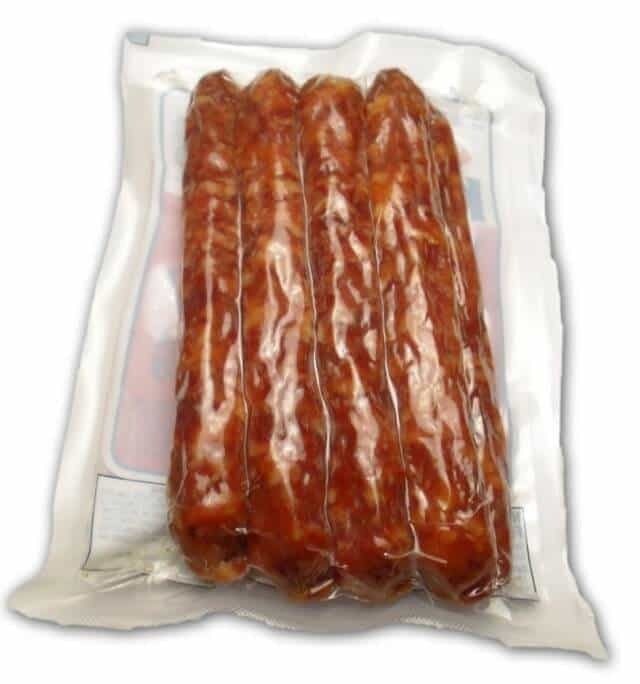 Remember, the Chinese Sausage is very salty, so when you're tasting, get a bite with both ingredients.